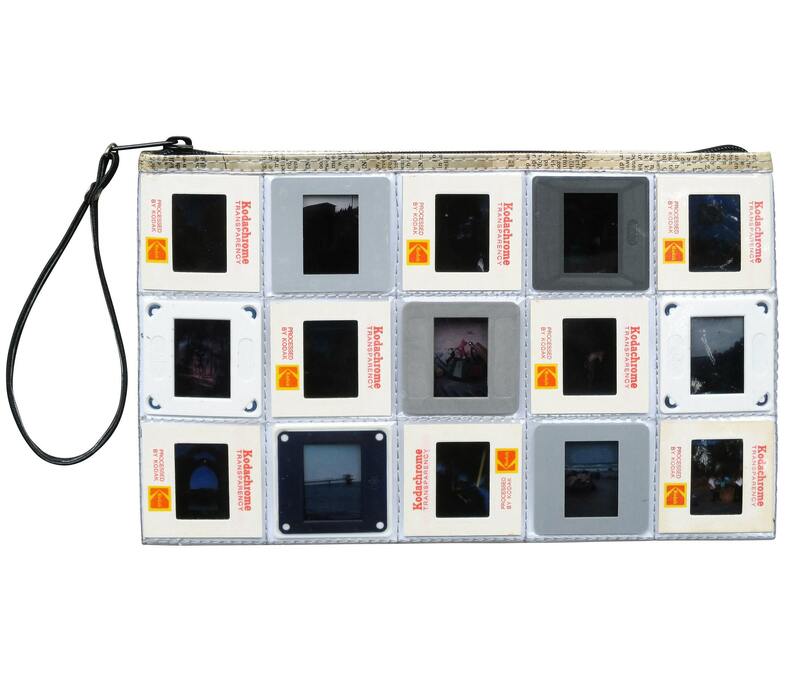 Large size Clutch / Wristlet made using old slides. Covered with clear plastic for protection. It has a YKK zip top closure and a wrist strap made of vinyl. Polyester fabric is used for lining.